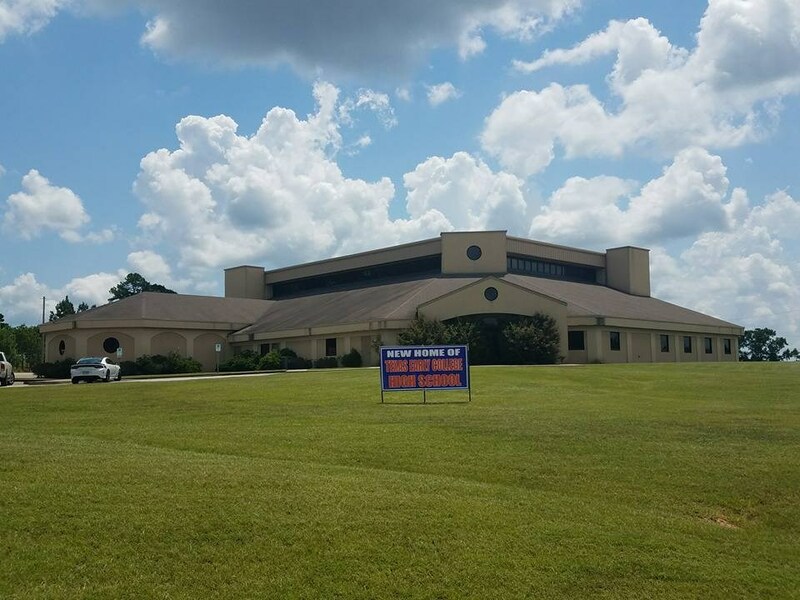 approved Texas Early College High School. 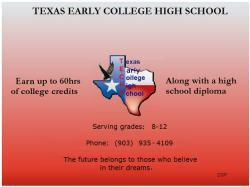 So just what are the benefits of attending Texas Early College High School? Start as early as the 8th grade. Earn up to 60 hours of college credit. Possibility of earning an Associate of Applied Science Degree. Possibility of Certification in a Skill or Trade. Can have high paying job by the time you graduate from high school. College tuition, books, fees, and technical supplies are provided FREE OF CHARGE to 9th thru 12th grade students.